I’ll be sharing the details about what we see at each stop while I’m gone, so be sure to check thru the week, okay? Thank you again for helping me to earn this amazing vacation. I appreciate you all so much!! While on the ship, I’ll have internet access, so please email if you need anything. Just know it may take me longer to respond than you’re accustomed to, but I WILL reply just as quickly as I can! So – as a little thank you for all the help you gave me to get me here today – I’m offering y’all Double Peppermint Rewards while I’m gone! Enjoy the special and…thank you all again – so much! P.S. 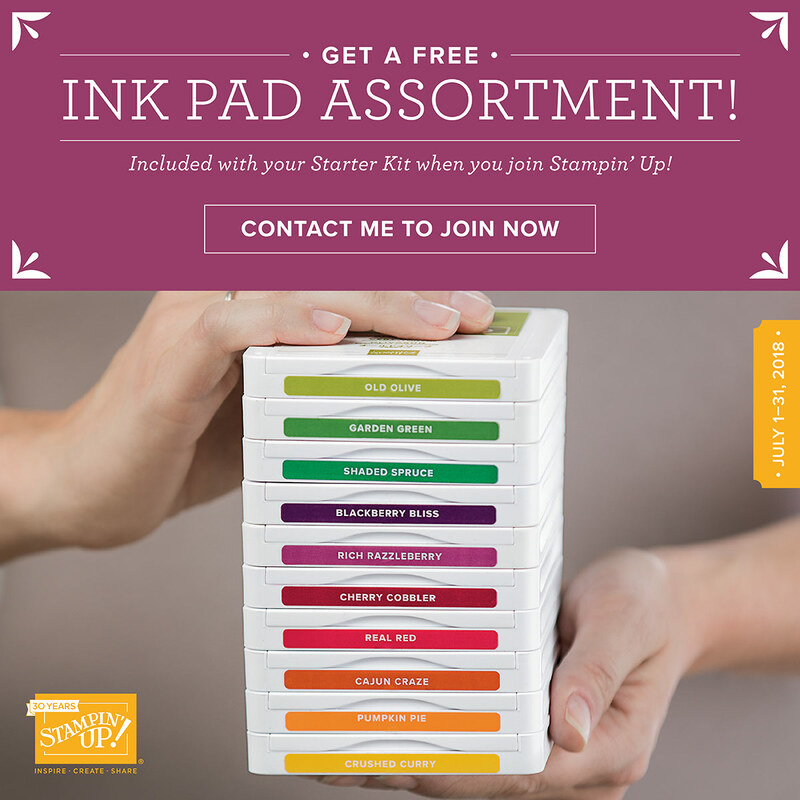 Time is running out to take advantage of the Joining Special and get those 10 FREE stamp pads! Don’t miss out! P.P.S Check out the Tax-Free Holiday – some states start TODAY! While he’s off playing – I thought I’d share a few pictures from our days in Sequim/Port Angeles! That’s Mt. Rainier – and is a strong memory of our vacations to Olympia when I was a kid. It always felt like you could just reach out and touch it. We took the ferry across the strait from Seattle to Bainbridge Island – and it was pretty danged awesome, I have to say! We ate some really good Mexican food at a little spot in Poulsbo (whoda thunk?!) and finally made our way to the John Wayne Resort Marina. Now y’all. I considered all sorts of things before I decided we should stay here. It’s right on Sequim Bay. It’s quaint and fun and old. And we figured it would be an adventure. We did NOT consider that…they might not have air conditioning. I suspect that in the normal course of things, no A/C is no problem. But it danged sure was when we got here. We spent some time looking for a different spot while the box fan they provided struggled mightily to lower the temps. We were so tired, you guys. And it all seemed pretty grim. When we realized that it was 9 o’clock – we decided it was cool enough and we went to bed. Where we both slept remarkably well in the comfortable bed (with the fan sitting on a chair blowing right smack on us). And then…I woke up to this. Yep – all better. I worked out there for a couple hours with my coffee. It was glorious! So…JWWR lived to fight another day! We spent some time exploring and drove up to Hurricane Ridge on the edge of the Olympic Forest. Oh. My. Lord. The VIEW! We even went for a little hike – and saw… Canada thru the trees from the top! On our way back, we stopped at the Washington Lavender Farm. I very much would like to live there forever! …she browsed her way down the rows of lavender then clip-clopped across the parking lot. Very sweet! All in all – a very good day, indeed. We spent Wednesday kicking around the Dungeness Wildlife Refuge…with forest..
..and water (and an odd little driftwood “fort”)…. …and a cool lighthouse. That was 5 miles away….so – we didn’t hike out there. But I took a picture for you thru the telescope! Finally, our time in Sequim came to an end, and we returned (via Ferry again!) to Seattle. The weather was quite different than on Monday! Once Amy and Lance arrived, we went and had a great lunch and some dessert – yes, I ate dessert. It was necessary. And oh-so-good! Then we went and rode a cool ride called Wings Over Washington (thanks, Kristi!!). It’s a 3-D IMAX type ride very similar to the Epcot ride called Soaring. But this one even added scents (forest – flowers) and little sprays of water to simulate the waterfalls we “flew” by! We loved it! We headed back to the hotel and called it a day. Had to be moving pretty early to head to the boat! Thanks so much for the wonderful post about your trip. While I LOVE Finn, traveling with you as a ladybug on your shoulder made my day. Enjoy Alaska (and post about that) – have a friend I visited there and made life long memories. Love your blog! I so enjoyed traveling with you…beautiful country. Y’all are wearing your enjoyment, relaxation and exciting anticipation on your faces. Keep up the good work! Hardly know what to say. Very nostalgic. Glad you are loving it. Keep my e-mail and let me know if you do get back here. I’d love to show you around a little. So very happy for you and your husband enjoying your vacation to Alaska. So far, it looks fantastic, and I must say, you look more than fantastic. Stay well and happy and return safely to all whom love you. Gorgeous photos! Glad to see you enjoying yourselves so much, and you are just getting started! Wow!